Includes up to 5 qts. of motor oil, filter, lube and maintenance check. Extra charge for premium products. Good at participating locations. Coupons may not be combined with any other offer. Coupon code ABWBVP7. Coupon void if altered. Expires 05/03/2019. Select Preventive Maintenance Services: Radiator Fluid Exchange, Transmission Fluid Exchange, Power Steering Fluid Exchange or Serpentine Belt Replacement. Good at participating locations. Coupons may not be combined with any other offer. Coupon code: ABWBVP7. Coupon void if altered. Expires 05/03/2019. Includes up to 5 qts. of motor oil, filter, lube and maintenance check. Extra charge for premium products. Good at participating locations. Coupons may not be combined with any other offer. Coupon code: ABWBVP7. Coupon void if altered. Expires 05/03/2019. Select Preventive Maintenance Services: Radiator Fluid Exchange, Transmission Fluid Exchange, Power Steering Fluid Exchange or Serpentine Belt Replacement. Good at participating locations. Coupons may not be combined with any other offer. Coupon void if altered. Expires 05/03/2019. Includes up to 5 qts. of motor oil, filter, lube and maintenance check. Extra charge for premium products. Good at participating locations. Coupons may not be combined with any other offer. Coupon void if altered. Expires 05/03/2019. 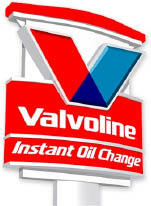 Save time and money on your next car or SUV oil change with Valvoline Instant Oil Change in Brooklyn Park, MD. We have great deals and printable coupons to help you save on your next oil change or auto repair service. Our knowledgeable technicians understand your car maintenance needs and can provide you with high quality auto service. We offer battery replacement services, serpentine belt replacement and fuel system cleaning services, just to name a few. For over 25 years, we have been proud to provide fast auto repair and car maintenance to our customers, without compromising quality. Allow our auto technicians to determine which motor oil is best for your make and model vehicle. We're your local experts for auto maintenance and repairs. Save money on your next car maintenance service with our printable coupons. Print them out and schedule a visit today! Valvoline Instant Oil Change in Brooklyn Park has certified auto mechanics ready to assist you with your car maintenance needs. We offer routine auto maintenance, transmission fluid change, air conditioning repair and other car care services. Print our oil change coupons to save on your next oil change. 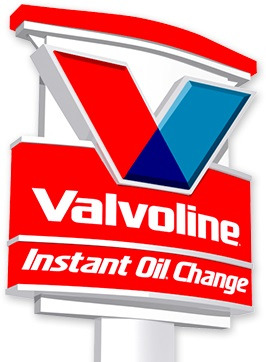 Valvoline Instant Oil Change in Brooklyn Park, MD also services Linthicum Heights, Pumphrey, Curtis Bay, Glen Burnie and the surrounding cities of Ferndale, South Gate, Halethorpe, Violetville, Cherry Hill, Lansdowne and other neighboring communities nearby.